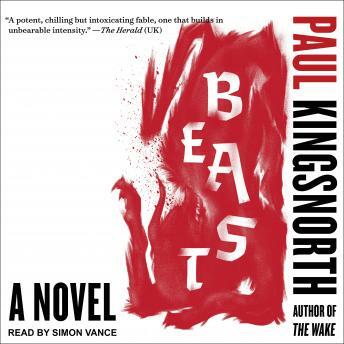 Beast plunges you into the world of Edward Buckmaster, a man alone on an empty moor in the west of England. What he has left behind we don't yet know. What he faces is an existential battle with himself, the elements, and something he begins to see in the margins of his vision: some creature that is tracking him, the pursuit of which will become an obsession. This short, shocking, and exhilarating novel is a vivid exploration of isolation, courage, and the search for truth that continues the story set one thousand years earlier in Paul Kingsnorth's bravura debut novel, The Wake. It extends that book's promise and confirms Kingsnorth as one of our most daring and rewarding contemporary writers.